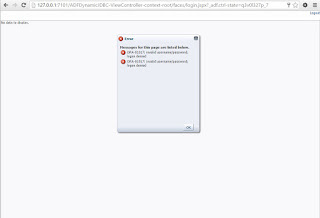 In some situations the business require that ADF application can connect to different database users depending on the login user. 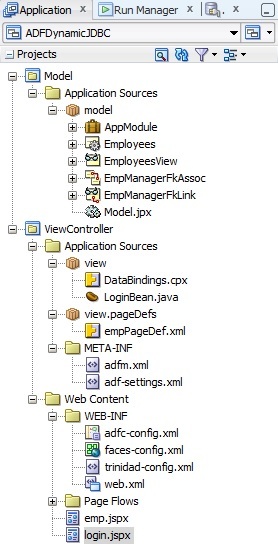 For example if user1 login, the ADF application will connect to database user hr/hr. 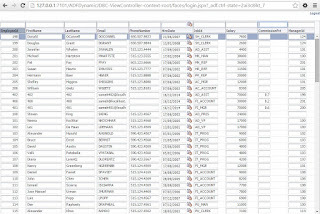 If user2 login, the ADF application will connect to database user hr2/hr2. 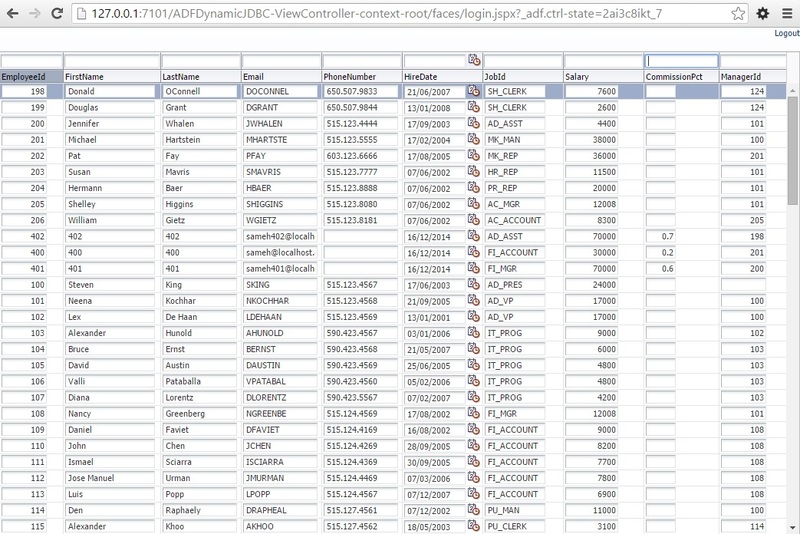 This is call Dynamic JDBC. 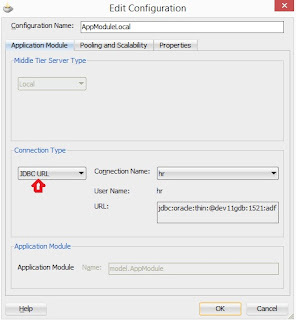 In this url you can see how to apply this dynamic JDBC, but in my post I will simplify this url by creating a sample ADF application and go step by step for how to apply dynamic JDBC to this ADF application. 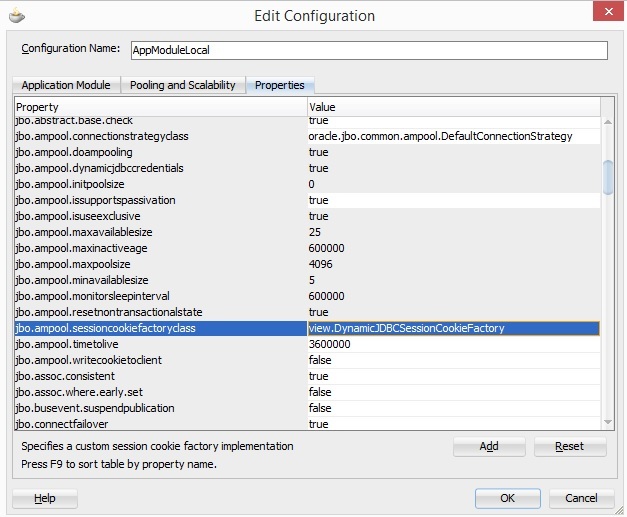 Note: From Step1 to Step5 it just steps for creating a simple ADF application. 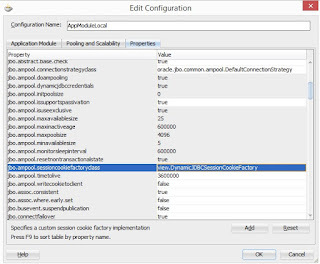 Applying the Dynamic JDBC to this simple application is starting from Step6. 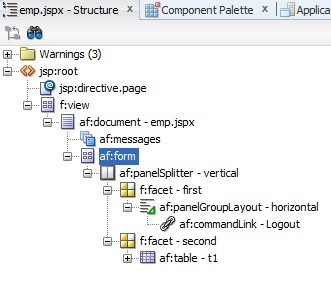 From faces-config.xml --> Navigation Rules define outcome to the two jspx pages. 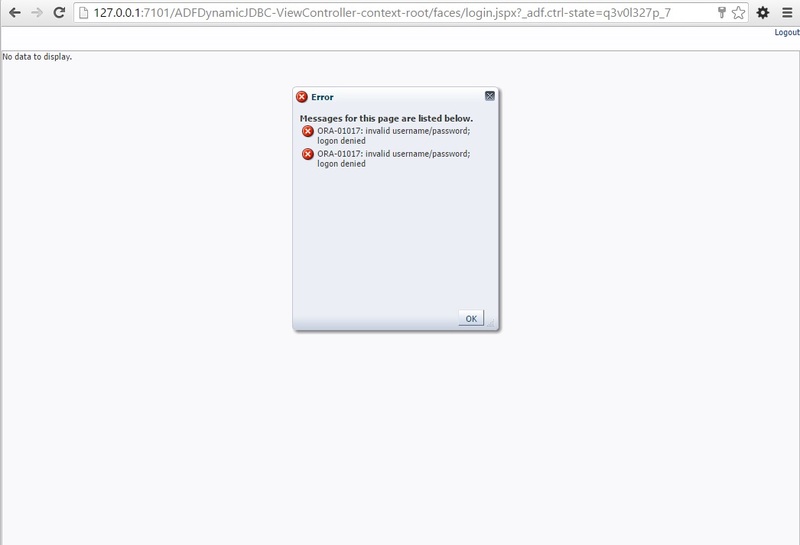 - In the login.jspx page add two inputTexts (Username and Password) and one command button for login. 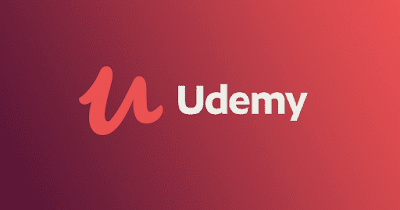 - Bind Username inputText and Password inputText to the back bean. - Create action for the login command button to read the username and password then navigate to emp.jspx page. Now we have created a simple ADF application and we will now apply dynamic jdbc to this application. In the login button action we will store username/password it in session. Create new Filter (DynamicJDBCBindingFilter.java) extends ADFBindingFilter. Logout then login again with wrong password as hr/hr1 you will get "Invalid username/password". Its excellent example .I am facing one problem. 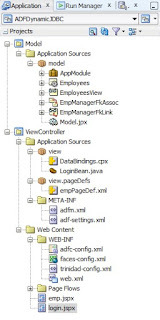 When i will use task-flow , instead of direct page (emp.jspx) . I can see only blank page .Let me know any solution.